The initial public offering (IPO) of Bangalore-based telecom equipment firm Tejas Networks Ltd (TNL) was covered 40% on the second day on Thursday with the portion reserved for retail investors being fully subscribed. The public offering of 17.11 million shares – excluding the anchor investors’ portion – received bids for nearly 6.6 million shares, stock exchange data showed. Retail investors’ portion was subscribed 1.1 times the shares reserved for them, data showed. The quota of shares reserved for institutional buyers was subscribed 33%. The portion set aside for non-institutional investors, such as corporate houses and wealthy individuals, was covered 2%. The IPO made a slow start on the first day on Wednesday with the issue being covered 11%. The firm is seeking a valuation of around Rs 2,301 crore ($360 million) through the IPO. The IPO size is pegged at Rs 776.68 crore at the upper end of the price band for a 33.75% stake dilution on a post-issue basis. Domestic brokerage firms have a mixed view on the company’s valuation. Angel Broking and IDBI Capital advised clients to subscribe to the IPO based on the expected growth in optical networking equipment space. In contrast, Centrum Broking said it is difficult to take a call on the firm’s valuation due to its differentiated business model. “Tejas Networks will become the first listed player in optical networking equipment space and there are no listed comparable peers. At the higher end of the price band of Rs 257, the issue is valued at 14.1x EV/EBITDA and 24.7x P/E on FY2016-17 (post dilution) basis. Although not directly comparable, companies in the optical fibre space like Sterlite Technologies are trading at 11.4x EV/EBITDA and 30.5x P/E on FY2016-17 basis,” observed Centrum Broking analysts Alpesh Thacker and Siddhartha Khemka in a client note on 13 June. The IPO comprises a fresh issue of shares worth Rs 450 crore and an offer for sale (OFS) of 12.71 million shares by founders and other shareholders including Frontline PE and Intel Capital. Frontline is fully exiting while Intel Capital is selling part of its stake. On Tuesday, Tejas Networks, which is backed by various private equity firms, raised Rs 350 ($55 million) by selling shares to a bunch of anchor investors. The company allotted 13.59 million shares at Rs 257 apiece, the upper end of the Rs 250-257 price band, stock exchange filings showed. 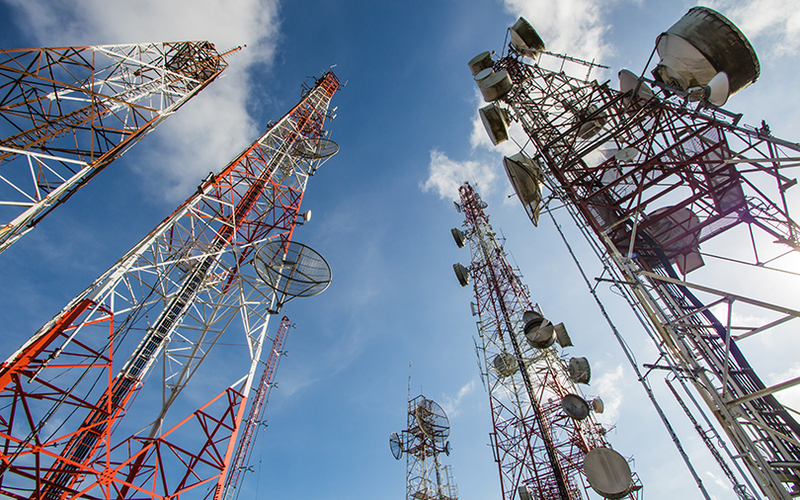 Abu Dhabi Investment Authority (ADIA), US-based private equity firm East Bridge Capital and PremjiInvest, the family investment arm of Wipro Ltd chairman Azim Premji, are among the anchor investors that have bet on Tejas Networks ahead of the telecom equipment maker’s IPO. The company filed a draft red herring prospectus (DRHP) with the Securities and Exchange Board of India (SEBI) for an IPO on 10 February. It received final observations on 24 April. Tejas Networks plans to use Rs 45.28 crore from the IPO proceeds toward capital expenditure needs such as payment of salaries and wages. It intends to use Rs 303 crore toward working capital requirement and an undisclosed amount for general corporate purposes. The shareholders who plan to sell their holdings in the IPO include Cascade Capital Management Mauritius, Intel Capital and private equity firm Frontline Strategy. A number of individuals are also selling their shares. These include CEO Sanjay Nayak and CTO Kumar N Sivarajan. Cascade Capital is believed to be controlled by co-founder Gururaj ‘Desh’ Deshpande, who had become a billionaire during the dotcom boom at the turn of the century. Deshpande is also the brother-in-law of Infosys co-founder NR Narayana Murthy. Cascade Capital owns 31.38% of Tejas Networks. Intel Capital, through two entities, holds about a 7.66% stake in Tejas Networks while Frontline, through its India Industrial Growth Fund, owns 3.61%. Frontline is fully exiting while Intel Capital is selling part of its stake, according to the draft prospectus. Other main shareholders of Tejas Networks include Samena Spectrum Co (20.09%) and Mayfield (10.21%).